The Eyewitness Casting Kits by Skullduggery combine creativity, discovery, and learning in one exciting artistic journey. Each kit includes everything needed to create an educational masterpiece:-PerfectCast Mix-Reusable Molding Trays-Paints & Paint Brush-Magnets and Glue-Illustrated Educational Booklet-Complete InstructionsFirst, mix the PerfectCast mold mix and pour it into the molds. While it sets read all about butterflies in the illustrated booklet! Unmold your creation, paint the parts and let them dry. Now glue them to the included magnets and you have your own work of art that can be displayed on most metal surfaces. 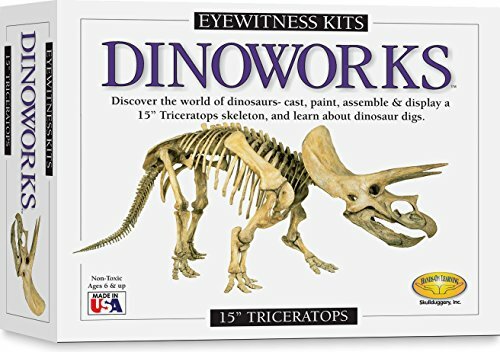 Children will have a hands on learning adventure they can share with everyone!Skullduggery is proud to offer their classic Eyewitness Kit line of quality educational products that combine discovery and fun, providing kids with many hours of enjoyment and learning! 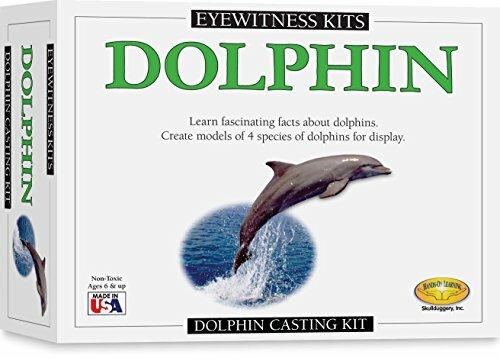 Eyewitness Kits bring fun and learning together by utilizing vibrant imagery and unique and relevant subject matter in a hands-on product that truly engages a child. Just the sort of quality educational product you have come to expect from Skullduggery - and they are proudly made in the USA! 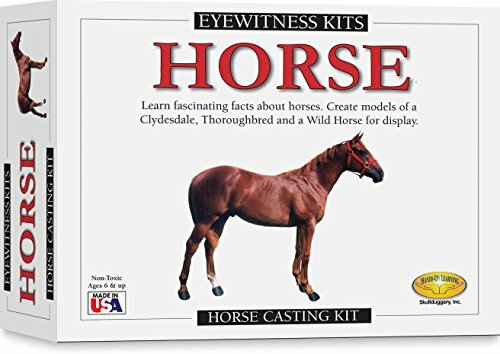 The Eyewitness Casting Kits by Skullduggery combine creativity, discovery, and learning in one exciting artistic journey. Each kit includes everything needed to create an educational masterpiece:-PerfectCast Mix-Reusable Molding Trays-Paints & Paint Brush-Magnets and Glue-Illustrated Educational Booklet-Complete InstructionsFirst, mix the PerfectCast mold mix and pour it into the molds. While it sets read all about horses in the illustrated booklet! Unmold your creation, paint the parts and let them dry. Now glue them to the included magnets and you have your own work of art that can be displayed on most metal surfaces. Children will have a hands on learning adventure they can share with everyone!Skullduggery is proud to offer their classic Eyewitness Kit line of quality educational products that combine discovery and fun, providing kids with many hours of enjoyment and learning! 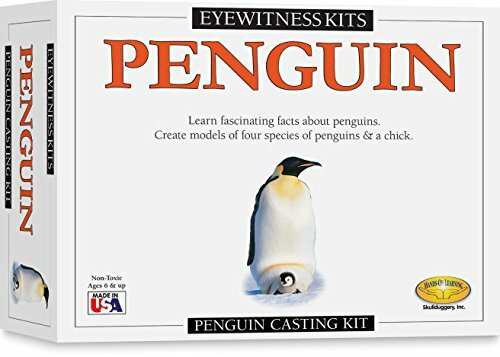 Eyewitness Kits bring fun and learning together by utilizing vibrant imagery and unique and relevant subject matter in a hands-on product that truly engages a child. Just the sort of quality educational product you have come to expect from Skullduggery - and they are proudly made in the USA! The Eyewitness Casting Kits by Skullduggery combine creativity, discovery, and learning in one exciting artistic journey. Each kit includes everything needed to create an educational masterpiece:-PerfectCast Mix-Reusable Molding Trays-Paints & Paint Brush-Magnets and Glue-Illustrated Educational Booklet-Complete InstructionsFirst, mix the PerfectCast mold mix and pour it into the molds. While it sets read all about dolphins in the illustrated booklet! Unmold your creation, paint the parts and let them dry. Now glue them to the included magnets and you have your own work of art that can be displayed on most metal surfaces. Children will have a hands on learning adventure they can share with everyone!Skullduggery is proud to offer their classic Eyewitness Kit line of quality educational products that combine discovery and fun, providing kids with many hours of enjoyment and learning! 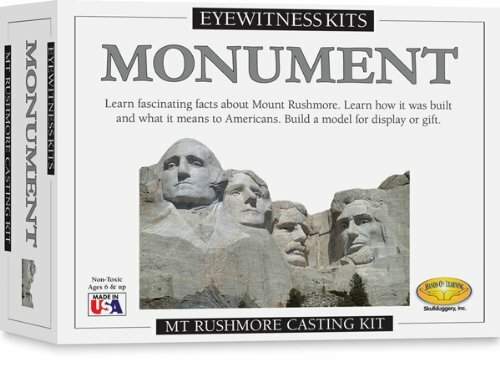 Eyewitness Kits bring fun and learning together by utilizing vibrant imagery and unique and relevant subject matter in a hands-on product that truly engages a child. Just the sort of quality educational product you have come to expect from Skullduggery - and they are proudly made in the USA! The Eyewitness Casting Kits by Skullduggery combine creativity, discovery, and learning in one exciting artistic journey. Each kit includes everything needed to create an educational masterpiece:-PerfectCast Mix-Reusable Molding Trays-Paints & Paint Brush-Magnets and Glue-Illustrated Educational Booklet-Complete InstructionsFirst, mix the PerfectCast mold mix and pour it into the molds. While it sets read all about penguins in the illustrated booklet! Unmold your creation, paint the parts and let them dry. Now glue them to the included magnets and you have your own work of art that can be displayed on most metal surfaces. 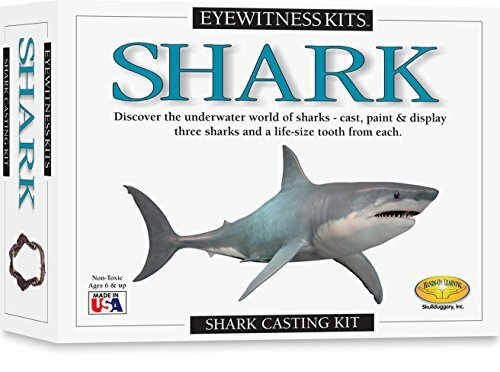 Children will have a hands on learning adventure they can share with everyone!Skullduggery is proud to offer their classic Eyewitness Kit line of quality educational products that combine discovery and fun, providing kids with many hours of enjoyment and learning! 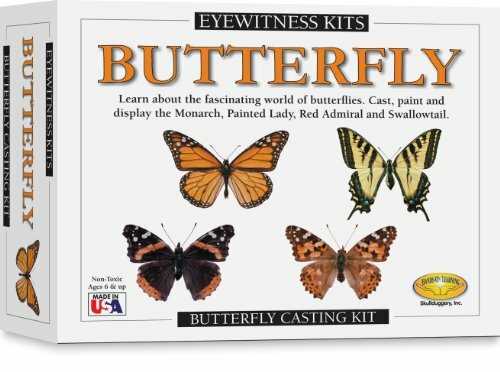 Eyewitness Kits bring fun and learning together by utilizing vibrant imagery and unique and relevant subject matter in a hands-on product that truly engages a child. Just the sort of quality educational product you have come to expect from Skullduggery - and they are proudly made in the USA! 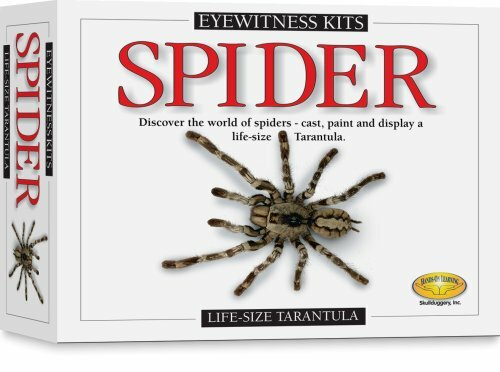 This Eyewitness Kit is a fascinating, educational, and creative introduction to the world of spiders. Discover all about spiders as well as the differences between them and other insects from the illustrated educational booklet included with your kit. Cast and finish a magnificent looking Tarantula, then bend the legs for a realistic looking spider. 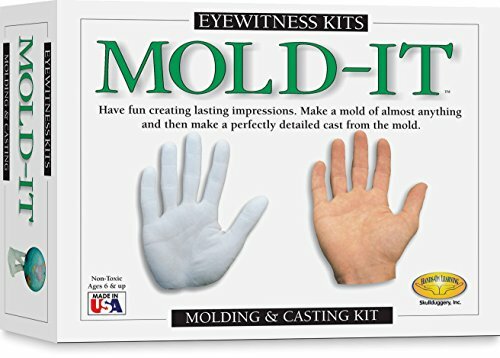 Looking for more Eyewitness Kit similar ideas? Try to explore these searches: Set Shamrock Pendant, Jean Handbag Purse, and Available Fragrances. Shopwion.com is the smartest way for comparison shopping: compare prices from most trusted leading online stores for best Eyewitness Kit, Greece Ornament, 4 Drawer Refrigerated Equipment Stand, Eyewitness Kit . 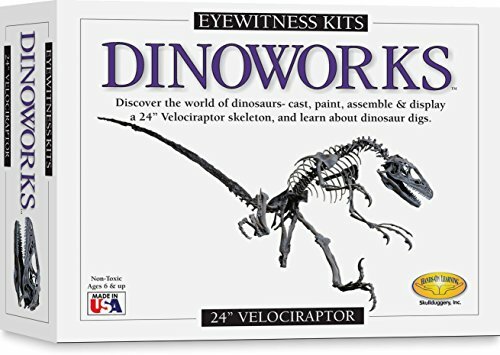 Don't miss this Eyewitness Kit today, April 20, 2019 deals, updated daily.